On 4 July 2017, the Hong Kong Chapter hosted a Cocktail Reception at MinterEllison’s Hong Kong Office. The Chapter was honoured to have the Hon. Justice Robert French AC, former Chief Justice of the High Court of Australia, as th events special guest and speaker. Justice French is currently working in Hong Kong as a non-permanent judge at Hong Kong’s Court of Final Appeal. Justice French delivered a speech titled “Real World Goals – Convergence and Cross Fertilisation in Commercial Law.” The Reception was highly successful. Several notable guests included the Hon. Chief Justice Ma, Consul General Browning, Deputy Consul General Gordon, judges from the Court of Final Appeal and the Court of the First Instance. 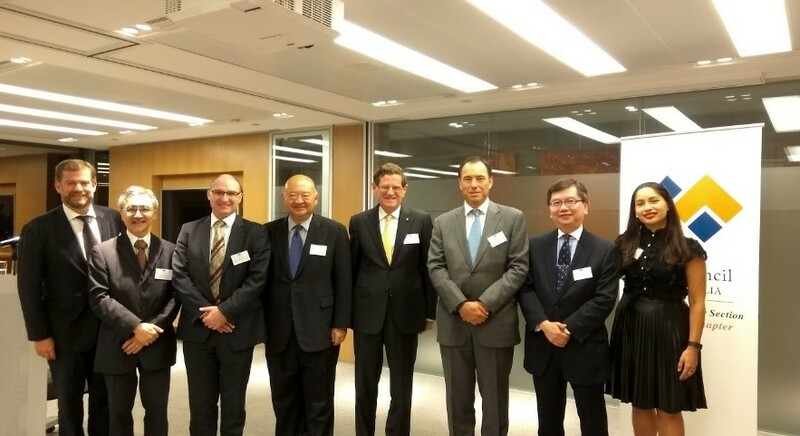 Caption: (Left to Right) Mr. Sebastian Hughes, committee member of the Hong Kong Chapter; Mr. Anthony Chow, convenor of the Hong Kong Chapter; The Hon. Deputy Australian Consul-General Gordon; The Hon. Chief Justice Ma GBM, Chief Justice of The Court of Final Appeal of the HKSAR; The Hon. Justice French AC, former Chief Justice of the High Court of Australia; The Hon. Justice Fok, Judge of The Court of Final Appeal of the HKSAR; Mr. Registrar Kwang, Registrar of The Court of Final Appeal of the HKSAR; Ms. Brigitte Monchouguy, committee member of the Hong Kong Chapter. Caption: (Left to Right) The Hon. Australian Consul-General Browning; The Hon. Chief Justice Ma GBM Chief Justice of The Court of Final Appeal of the HKSAR; The Hon. 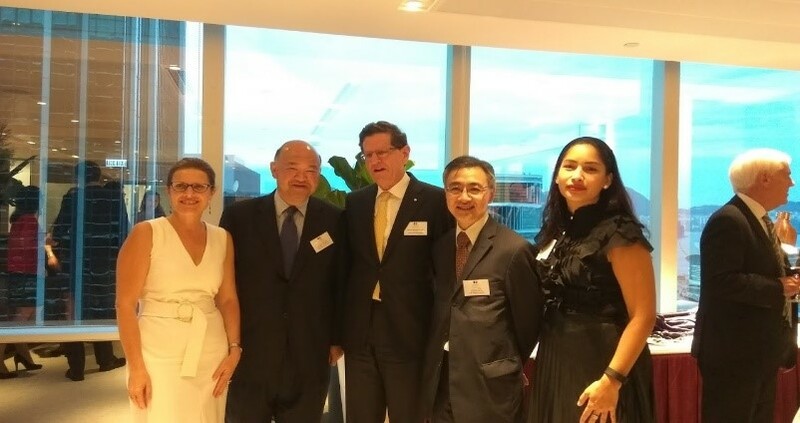 Justice French AC, former Chief Justice of the High Court of Australia; Mr. Anthony Chow, convenor of the Hong Kong Chapter; Ms. Brigitte Monchouguy, committee member of the Hong Kong Chapter.